Dongdaemun Market located between Dongdaemun and Jongno-5-ga, is full of food. 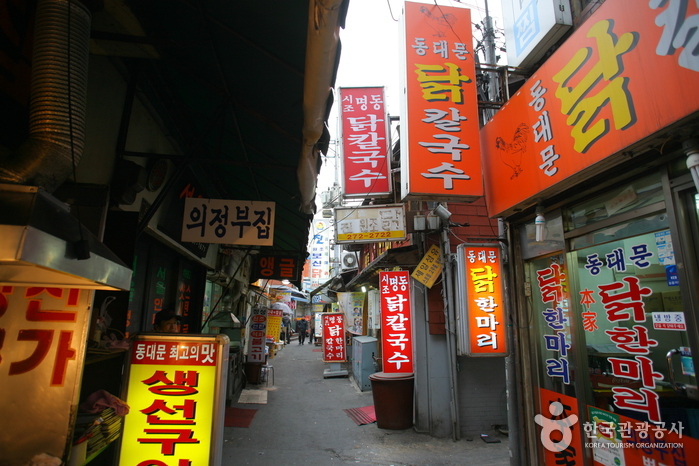 Roasted fish and a chicken Kalguksu shops are gathered together to form an alley. A great meal is provided at a cheap price.